Mint pesto - what a great idea. That will definitely be on my list to try. Funny last time I mashed cauliflower it looked a lot like the rice! 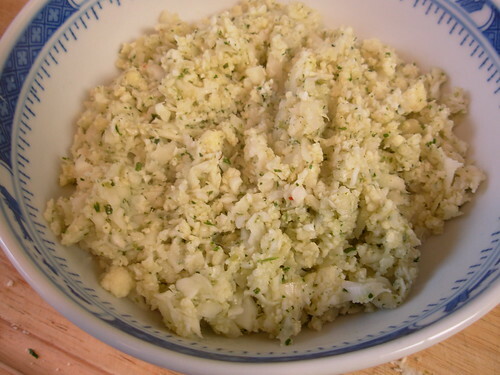 The cauliflower is such a great idea for a mashed potato or rice substitute, I will definitely try that! I made this for myself a couple times and love it. Then I made it with the cauliflower rice for a big group of crossfitters about a week ago. I used buffalo as well as lamb. Huge hit! Thanks!! Oh, and I grilled instead since I was wary of my electric oven. Perfection. Nice! Just went paleo a few days ago, can't eat beef (allergic, apparently) so have been trying meats I'm not so used to. Made my first leg of lamb today, delicious!! but, yes, have tons of leftovers. This looks wonderful, and I can put those mint plants to work I just bought. 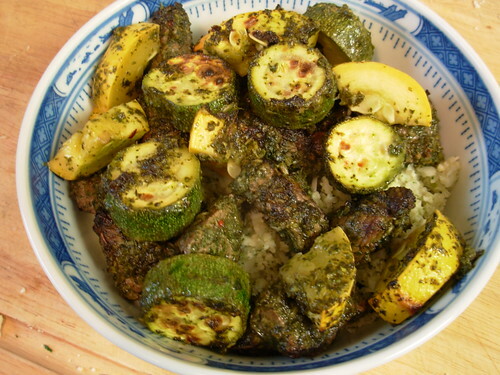 Cauliflower rice, great idea!